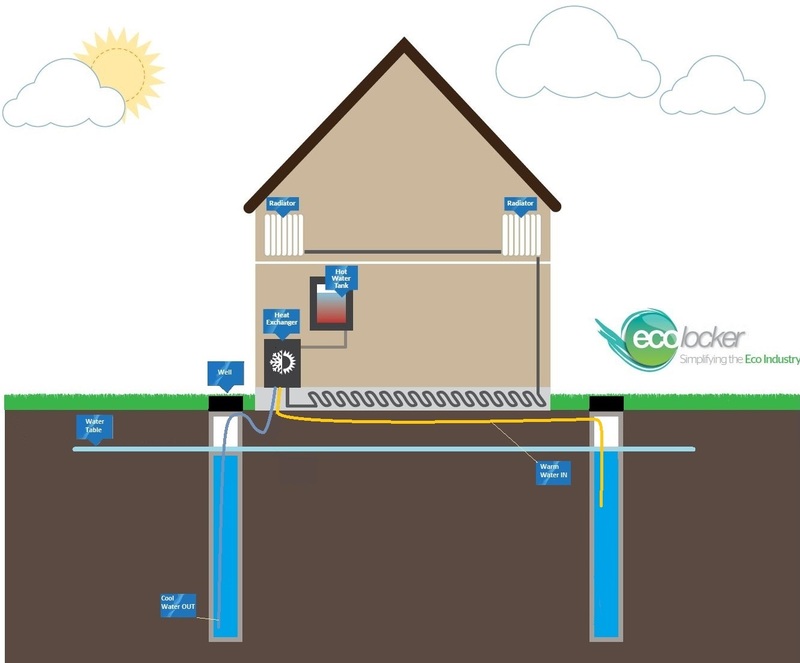 A major renewable sources of heat for homes can actually be found in the ground. 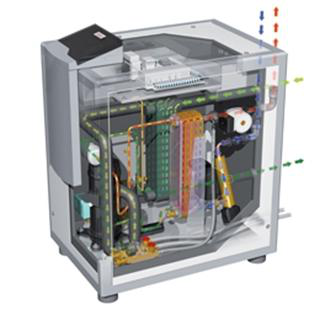 One of the best methods of extracting and harnessing this valuable energy is a Ground Source Heat Pump(GSHP) which can be used for producing hot water and operating warm air heating systems. It sounds like a simple solution to all your heating problems, but there are a number of caveats you need to consider before you take the heat pump plunge. The heat in your ground remains fairly constant, even through the winter months, producing small amounts of constant warmth that can be magnified by the appropriate machinery. Pipes are buried in the earth outside your house and a mixture of water and antifreeze is circulated around them. The ground heat gets absorbed into the surrounding mixture and is transported to a heat exchanger and from there into the heat pump that passes it to the heating sources in your home, such as radiators. While the heat produced from the ground is initially pretty low, it is compressed to produce higher temperatures. The heat pump works as a continuous process with the mixture circulating back down into the ground to absorb more energy once it has been used to heat your property. A flat array can be buried about 2m deep throughout your garden, but a vertical one can be drilled down 100m. Whether it is a suitable method of heating your home depends on the size of garden you have and the depth of your soil. A larger array buried in the ground helps you to produce more heat. If space is limited, a vertical bore hole can be drilled down into the earth. There other factors you need to consider is how you are currently heating your house. If you use it to replace your conventional heating, either by gas or electric boiler, it can dramatically reduce your energy bills. How much you will save will depend on the initial cost of installation and the type of fuel source being replaced. You might be able to benefit from the government’s new Renewable Heat Incentive (RHI) scheme that rewards domestic and business households for using renewable energy sources. Although it is also dependent on the type of fuel you are replacing, you could significantly reduce your carbon emissions and contribute to halting global warming. 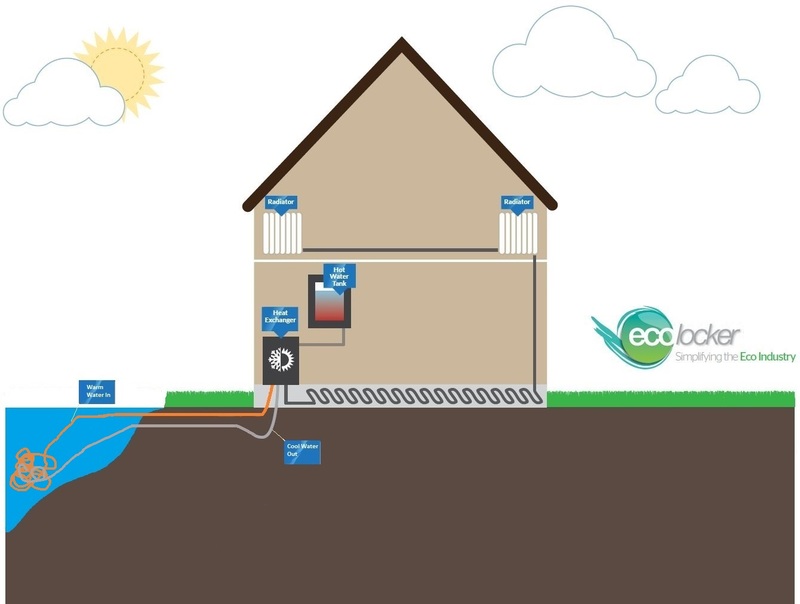 Ground Source Heat Pumps (GSHPs) are very low maintenance and easy to run once installed, providing heat for radiators and hot water. The pumps deliver heat at much lower temperatures than normal gas or electric systems, so you may have to have them on for longer periods of time. 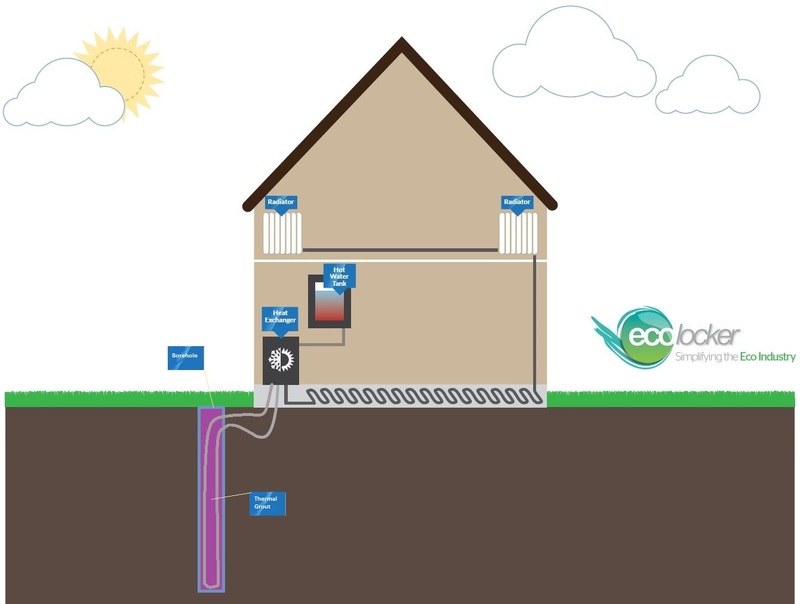 There are a number of things to consider before you decide to take on something like a Ground Source Heat Pump. First of all, your house needs to be well insulated. GSHPs produce heat at much lower temperatures than normal systems and so you would be well advised that you have sufficient floor, wall cavity and loft insulation as well as double glazing, to make sure all that heat is kept in. How you are going to heat your house is another area to think about carefully. Ground Source Heat Pumpswork better with things like under floor or warm air heating rather than traditional radiators. Finally, the ground needs to be suitable. You need to check if you can get diggers and drills into the garden as well as find out about the nature of the ground. For example if there is a lot of rock beneath the initial layer of soil then it might not benefit from a vertical bore. They are still relatively expensive and you won’t start to see a return on investment until after a fair number of years. On average you will be spending around £10-15,000 for an installation. You will still need to pay for electricity to run the pump and savings will depend on a number of factors, including the existing fuel and the heating system that you are replacing. You may be eligible for the government’s Renewable Heat Incentive that pays you for every kWh of heat produced. Find out more about heat pump costs and savings here. Ground Source Heat Pumps can utilise the heat from both water and the earth, and there are a number of different varieties. A closed loop system is the most common, using a contained water and antifreeze mixture. An open loop system uses water from the surrounding area but this needs to meet certain requirements such as being low in chlorine. 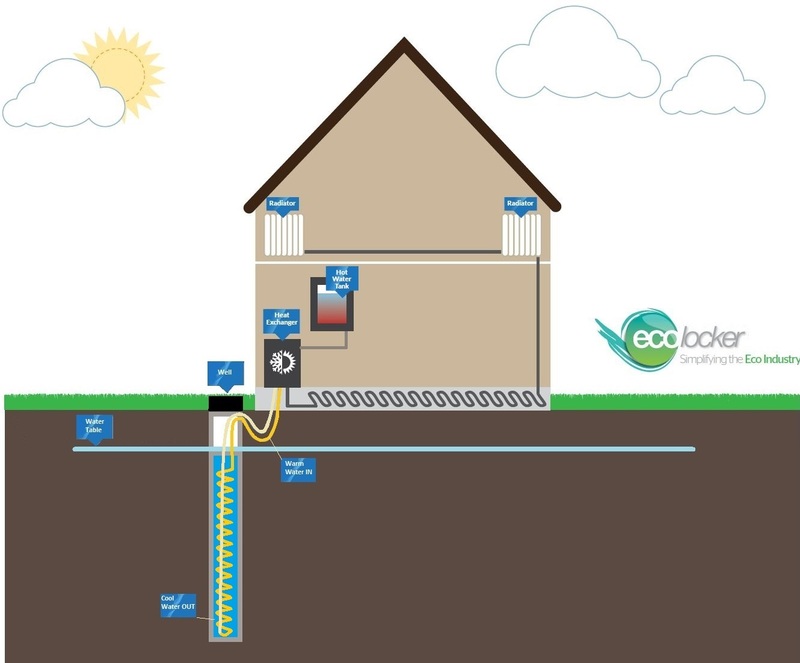 Open or Closed Loop Ground Source Heat Pump: Usually buried flat around 2m in a decent sized garden. Single Borehole Open or Closed Loop GSHP: A vertical installation that can be drilled up to 100m down into the ground. Single Well Open or Closed Loop WSHP: If you have an underwater source such as a well, then the loop can be connected to this. 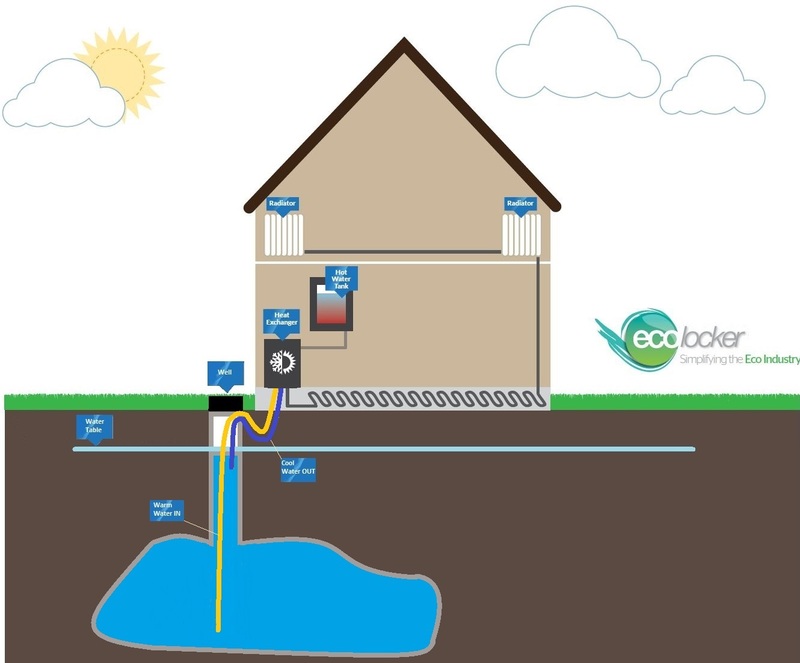 Lake or Pond Source Open or Closed Loop WSHP: If you have a lake or large pond nearby, then it works the same as a Ground Source Heat Pump, but in water. 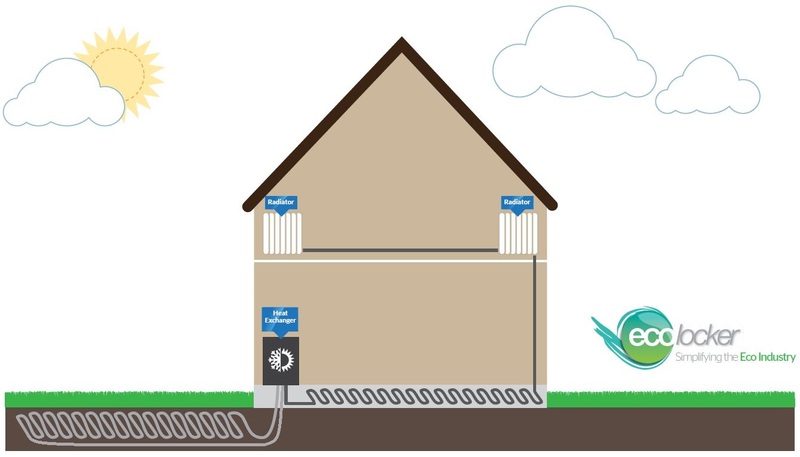 You can explore the different types of Ground Source Heat Pumps in our data base. Major work has to be undertaken if you want to install a Ground Source Heat Pump, including checking whether you need planning permission. Workmen and diggers will need to be able to access the area where you are going to have the heat pump installed. The primary thing you need to consider first, which may add cost onto your conversion to a heat pump, is whether your house is ready for it – have you got the right heating system installed and is your property insulated to a high enough standard? There are a number of companies that specialise in putting in heat pumps and they will be able to advise if your property and garden would suit such an installation. Search for heat pump installers in your area here.